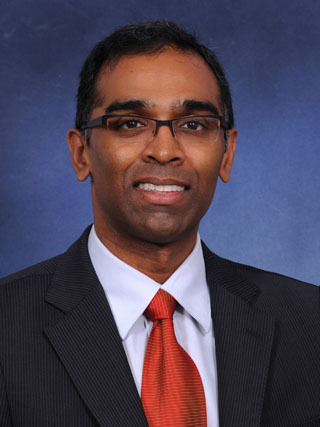 Nagesh Devata has been with MasterCard since 1997 in a number of key roles. Over his tenure he has covered a range of geographies including Canada, U.S., Middle East/Africa and more recently Asia Pacific. He has had roles in issuing and acquiring with both regional and global key accounts, product sales, and business development. He was actively involved in the transformation and implementation of the global acceptance and merchant strategy. Devata has more than fifteen years of experience in business management, partnership alliances and strategy, and has a deep knowledge of the payments market. In 2008, Devata joined the Asia/Pacific, Middle East & Africa region as the Sr. Vice President for Acceptance & Merchant Development. In this role, he is responsible for executing the regions merchant and acceptance strategy and forging relationships with acquirers, technology partners and merchants. In Devata’s tenure at MasterCard he has been responsible for a vital group of business activities focused on commercializing short- and long-term market opportunities. He established Canada as a global leader with the wide spread launch of PayPass and Quick Payment Service. Further he established MasterCard acceptance in new retail markets such as self-serve kiosks, taxicabs, mobile payments and quick service retailers. Through his efforts renowned brands such as Coke, AliBaba and McDonalds are now accepting MasterCard. In Asia Pacific, he has been at the forefront of MasterCard’s strategic partnerships with the biggest travel and digital retail partners and expanding MasterCard’s reach to the next 100 million new merchants. Nagesh has worked closely with all of MasterCard’s business partners and stakeholders to advance physical and digital payment convergence driving the connection between consumers and electronic payments. He holds an MBA from Case Western University, and a Bachelors of Commerce from the University of Toronto.